My picture book pick today is another one of the treasures I scooped up in Singapore last week at the Asian Festival of Children’s Content. A little girl and her family start life over again after war tears their country apart. Although there is sadness in their past, they are a happy family who work hard to make new joyful memories together. I met the author, child advocate and co-head of Australia’s SCBWI chapter, Susanne Gervay at the 2013 Asian Festival of Children’s Content in Singapore and was thrilled to sit in on one of her amazing presentations there: Writing to Make a Better World…as writers, we have an opportunity to share important messages that can make a difference…Susanne takes this seriously and is the author of It’s Jack, a true story about bullying and how it affected her son. There are two sequels to the book and it is now in movie syndication! I also sat next to her at the First Pages session and with her for several breakfasts at the hotel…she is entertaining and empowering! 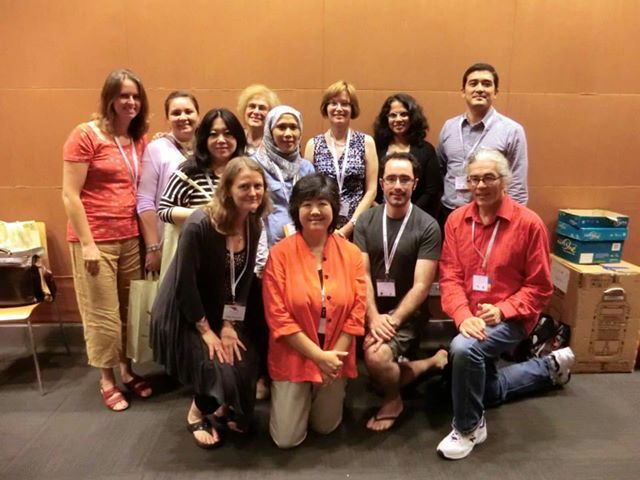 Photo from #2013AFCC – many of the SCBWI leaders of Pacific Rim countries – Suzanne is third from the left in the back row. 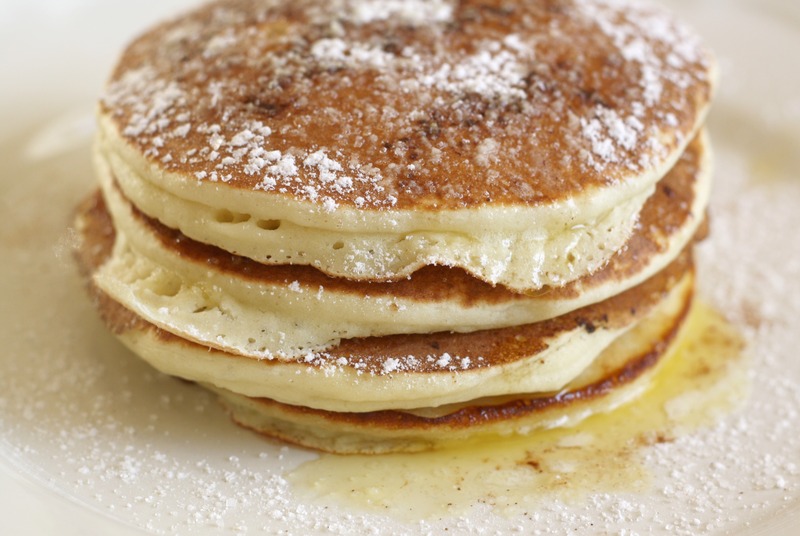 There are many recipes for yummy pancakes in cookbooks and online. Here’s a kid-friendly simple and nutritious one from my book. You will need: 1 cup flour, ¼ tsp salt, 1 Tb sugar or honey, 2 tsp baking powder, 1 egg lightly beaten, ¾ cup milk, 2 Tb canola oil, ¼ cup applesauce, 2 Tb chopped apple, ½ cup raisins or blueberries, maple syrup or warmed jelly or confectioner’s sugar for the topping (optional), non-stick griddle and two bowls. Mix flour, sugar and baking powder in large bowl. Combine egg, milk and oil in another bowl. Slowly add the liquid mix into the dry mix…stirring till just blended. The batter should be lumpy. Gently fold in the apples and applesauce. Preheat the griddle on moderate heat and pour or spoon batter onto griddle (about 2 or 3 Tb of batter for each pancake). Cook until bubbles form on surface of pancake and gently turn over to brown other side. Press raisins or blueberries into surface of pancake to form eyes, nose and smiling mouth. Your child might enjoy arranging the faces on her own pancakes. Top with maple syrup, warmed jelly or confectioner’s sugar if desired. Another lovely activity: go on a picnic like the family in the story did. You can connect with the fantastically funny and downright amazing Susanne Gervay on Facebook, Twitter or her blog. This entry was posted in #2013AFCC, Picture Book Review, Recipe, Talking about War and tagged #2013AFCC, Immigrants, Pacific Rim, Pancake, Perfect Picture Book Friday, SCBWI, Singapore, Susanne Gervay, War by viviankirkfield. Bookmark the permalink. 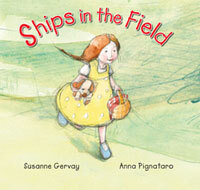 Ships in the Field is close to my heart inspired by my family’s experiences as refugees. I loevd meeting you too Vivian. This sounds like an important share. Kids need to know that things happen, but we find a way as a family to move forward. Great choice. Would like this one on my blog. Thank you, Erik! The most special thing was meeting the author, Susanne Gervay! What an amazing, funny, caring woman…I’m so happy to have connected with her in Singapore. 🙂 And it is a true story of her childhood! What a worthwhile event. This is truly a gem. I admire Susanne’s work too. Thanks, Vivian.